Jax 5th Ave is the destination for foodies, beer connoisseurs, and the die-hard sports fan. 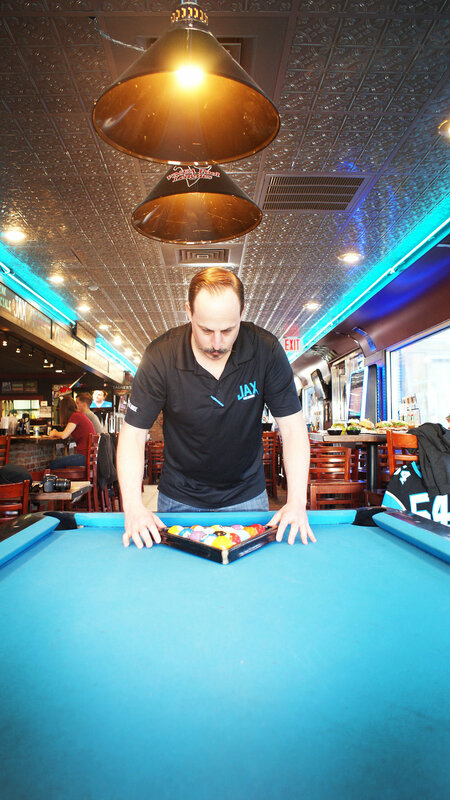 Locally owned and operated- Jax 5th Avenue offers a laid back atmosphere that is welcoming to foodies, sports fans, and craft beer enthusiasts alike. We provide a full eclectic menu incorporating quality Boar’s Head sliced meat and cheese that feature unique items like our smoked salmon deviled egg, a Legendary Italian sandwich, and our famous pita pizzas that bake up lite and crispy. With 20 HDTV’S with premium sports packaging, you will never miss a game! Supporting local craft breweries with 24 drafts and over 100 different bottles and cans. Serving lunch, dinner, and late night: full menu until 2:00 am. At Jax, our top-notch culinary team knows exactly what you want to eat. Forget the fancy. Feel-good favorites are what we’re about. Every aspect of this menu feels savory, but that might just be the cumulative effect of all the offerings involving ridiculously good sandwiches and pizzas. Our chefs are always on the lookout for new ways to get more of the good stuff you want on our menu and our menu is constantly evolving. Check it out. Bring your appetite!